Charles Darwin refuted the teleological argument from design in 1859. Apparently Behe didn’t get the memo. Through his theory of evolution by means of Natural Selection, Darwin accomplished what earlier evolutionists could not. Unlike previous theorists such as Lamarck and Erasmus Darwin, Darwin (and Alfred Russel Wallace working with him) provided a working mechanism for evolution. In short, Darwin’s theory of Natural Selection replaced Paley’s divine watchmaker with a blind watchmaker; the selective force of nature. Following the strengthening of Darwinian theory by intellectuals on both sides of the Atlantic Ocean, especially after the development of the Modern Synthesis in evolutionary biology, evolutionary theory effectively replaced “Design” as a creative force. Natural Selection, therefore, is able to explain organs and features of organisms formerly relegated to creation by an “intelligent Designer”, or a “divine watchmaker” of sorts. Regardless of whether it is Paley’s eye or Behe’s bacterial flagellum, evolutionary theory effectively explains the development of these organs and features. Therefore, the “Watchmaker hypothesis,” in both its historical and modern forms, does not present an effective challenge to the efficacy of evolutionary theory. Thus, the argument from “Design”, or “irreducible complexity”, is not an adequate tool with which to challenge evolutionary theory. Both fail to undermine the strength of evolutionary theory on closer inspection. Although one might ask “what good is 2/10ths of an eye?”, any working “eye” is better than no eye at all. Even if we are referring to just a few light-sensitive cells that are useful for an organism to detect light or predators, these cells will provide a definite survival advantage compared to organisms that lack these cells. In time, variation and selection can and do build more complex organs through differential survival rates. In the case of “irreducibly complex” organs, the key flaw in Behe’s argument is the fact that he fails to account for the fact that so-called “irreducibly complex” organs can and do have other uses if a component or group of components are removed from them. Natural selection works by jury-rigging and adaptation of available features, not by the design of new ones. Therefore, the “watchmaker hypothesis” fails on all counts. Another key aspect of modern arguments from design is the “fine-tuning” argument for the existence of the universe. This argument, stated simply, alleges that since the universe appears to be “finely tuned” for the existence of life as we know it (i.e. cosmological constants are exactly what they need to be for life to exist as we know it), that the universe therefore must be designed. While this argument seems cogent at first glance, it is, in fact, fatally flawed. In fact, the apparent “fine tuning” of the universe is exactly what one would expect if life evolved. Natural selection produces organisms that are well-fit to their environment. If life did, in fact, evolve, it did so in this universe, on this planet, governed by the constraints placed upon it by the existing cosmological constants. You do not build a vehicle that sinks quickly but has really good wheels if you are only going to be using it in an ocean. Rather, you construct a vehicle that is well-adapted for oceanic travel. Natural selection works the same way. It is governed by physics and chemistry as well as biology and ecology. Natural selection, in short, is as much a slave to cosmological constraints as organisms are to their dietary requirements. Thus, the cosmological argument is as much a failure as the “watchmaker hypothesis”. Another key argument advanced by Intelligent Design proponents can be described in the following manner. The proteins/molecules/cells, etc. that make up life are extremely complex. It is extremely improbable that they developed through solely naturalistic means. Therefore, these features must be designed. However, this approach is philosophically and scientifically flawed. Scientists have done a decent job exploring the origin of life. Even though scientists have not definitively explained the origin of life, they have developed some tantalizing glimpses at possible explanations for this event. This topic is relatively complex, and a bit intensive for a short post, so if you’re interested I’ll refer you to the work of Robert Hazen as a first guide to this topic. See, for example, his book “Genesis“. I will focus on the philosophical flaw with this argument in this post. The philosophical argument inherent to this portion of the Intelligent Design argument can be re-phrased in the following manner. A million (pick your favorite large number here, and replace “A million” with it if you’d like) lottery tickets are sold for a lottery. One ticket must win. Each ticket represents a possible combination of proteins (the building blocks of DNA). The “winning ticket” is the actual combination generated by nature. According to the Intelligent Design approach, since a million tickets (possible protein sequences/amino acids) exist, the chances of drawing the winning ticket are extremely low, and therefore no ticket will win. However, we know this to be false; one ticket ultimately DOES win. Therefore, as improbable as the development of DNA sequences was, by nature, it was at least possible. And, in fact, there are possible ways to increase the probability of the development of complex protein sequences (Hazen discusses the possibility of proteins growing within the microstructures of carbonate rocks, a hypothesis which explains the extremely high proportion of “left-handed” amino acids). Therefore, the Intelligent Design perspective once again proves flawed. Before closing this essay, I will mention a few other key claims/approaches fronted by Intelligent Design proponents. The first is Dembski’s Explanatory Filter, which fails miserably as a tool to supposedly discern design in nature (see critique here). The second is the claim that natural selection cannot “increase information” in a genome. Here’s a rebuttal for that claim as well. Finally, perhaps the most ridiculous claim advanced by Intelligent Design advocates such as Stephen Meyer is the claim that the “Cambrian Explosion” somehow undermines evolution. This is the old “there are GAPS!!! Gaps in the fossil record!” argument trotted back out to play. 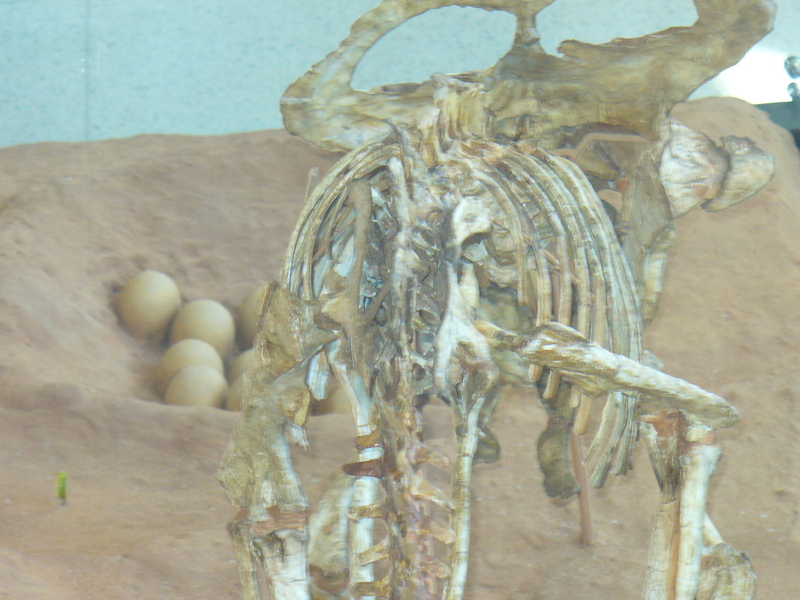 Even a cursory glance at modern paleontology proves such a claim irreparably flawed. A good explanation of why such an argument is flawed can be found in one of my all time favorite books on transitional forms, Donald Prothero’s “Evolution: What the fossils say and why it matters“. For a good online critique of the “Cambrian Explosion” argument advanced by Design advocates, see Keith Miller’s article (part one here and part two). Therefore, as demonstrated, upon closer inspection, the arguments against evolution advanced by Intelligent Design proponents consistently fail to withstand scrutiny. I consciously avoided arguments from social ills in this post (“well evolution influenced Hitler, or communism, or what have you”) due to the extremely flawed nature of this type of argument. What is more important is attacking so-called “science” of Intelligent Design. As I’ve shown here, even a cursory critical glance at the pseudoscientific structure of Intelligent Design reveals massive and irreparable flaws. Therefore, Intelligent Design fails as a science. Behe, M. Darwin’s Black Box: The Biochemical Challenge to evolution. Free Press, New York. 1996. Two individuals are born an ocean apart, in vastly different economic settings. One, an American, is born in a one-room cabin in Kentucky (just west of the old Colonial realm). The other, a Englishman, is born in Shropshire, England, to a prominent doctor, himself the son of a major 19th Century intellectual, and the daughter of a prominent British pottery maker. These individuals, of course, are Abraham Lincoln and Charles Darwin. Although Darwin and Lincoln never directly corresponded, the two share more than a common birth-date. Both were considered to be lazy during their formative years. More importantly, both were ardent abolitionists. Lincoln grew into abolitionism from a more neutral position, ultimately issuing the Emancipation Proclamation on January 1st, 1863. Lincoln, is remembered as much for the American Civil War as he is for ending slavery in America. Charles Darwin became an abolitionist as a result of both first-hand experience and, possibly, family upbringing (the Wedgewoods were well-known British abolitionists). Darwin and Lincoln, then, share a common historical legacy. Both rejected slavery, Darwin for moral reasons, Lincoln perhaps for both moral and pragmatic reasons. However, the two individuals are remembered differently by the general public. Lincoln is often praised (at least in Northern America) for his decisive moves to both preserve the American nation through the Civil War and for ending American slavery. Darwin, however, is condemned in many circles for his role in decentralizing the biological status of the human species through his theory of Descent with Modification by means of Natural Selection. Does Darwin deserve to be condemned? By publishing his theory, Darwin was not attempting to unilaterally destroy theism. The Origin was published in a wider intellectual and historical context that already included multiple texts advocating “evolutionary” thought. Some famous predecessors to the Origin include Robert Chambers’ Vestiges of the Natural History of Creation (1844) and Lamarck’s evolutionary model (first documented in 1800). Darwin’s grandfather, Erasmus Darwin, also published an evolutionary account of life in a book titled Zoonomia during the 1790s. Natural Selection, then, was born into an intellectual scene which was already used to theories of evolution. However, Darwin and Wallace’s Natural Selection had one feature that Lamarck, Chambers, and Erasmus Darwin’s work lacked: a working mechanism. Therefore, Darwin (and to a lesser extent in the public realm Wallace) are remembered (wrongly) by many as the first evolutionists. As a result, they are most often condemned for the idea of evolution. Although evolutionary theory DOES have major implications for theology, evolutionary theory does not, in fact, disprove religion. If one takes an extreme reductionist approach to theology and philosophy, evolutionary theory can be used in an attempt to reduce philosophy and theology to a mere consequence of physical and chemical forces. However, as religious belief is a non-disprovable hypothesis (God could be out there, regardless of whether evidence exists for or against God’s existence), it is impossible to disprove God through mere science. In fact, some theological positions incorporate both a relatively traditional conception of God and evolutionary theory. For example, the Roman Catholic Church does not have an issue with evolution; they accept evolution as valid science, yet they also retain a role for creative acts by God. Kenneth Miller’s Finding Darwin’s God provides a good example of one Roman Catholic biologist attempting to achieve a harmonious relationship between God and evolution, and is a worthwhile read. Another key criticism of Darwin and evolution is that it creates social ills. Evolutionary theory has been blamed for racism, the Holocaust, abortion, crossdressing, and numerous other things by its opponents. However, such an approach is philosophically and scientifically unsophisticated. Nuclear weaponry utilizes physics, so does that mean that Newton, one of the fathers of modern physics, is responsible for nuclear proliferation? Of course not! If I tried to make that statement, any sane person would (rightly) declare me to be a fool. Scientific theories are not moral or immoral. By nature, they do not have a moral stance (they are amoral). They can be used for moral or immoral means, but a scientific theory, on its own, does not have a moral position. Therefore, to blame evolution for society’s ills is at best an attempt to put a bandage on an underlying cause. Darwinian theory is not, in itself, responsible for its application within society (for good causes or bad). Yes, evolutionary theory was developed by human agents operating in specific places and times. Therefore, there is an inherent human aspect to evolutionary theory. However, this human aspect is present in ALL scientific theories. It is not the scientific theory that is the issue. It is how people choose to use it for extrascientific purposes. Therefore, its time for society to stop condemning Darwin. If you’ve got a problem with something in society, stop trying to blame people who are at best indirectly related to the root of the problem and actually attempt to fix the issue. Let’s remember Darwin for what he actually DID contribute to society, rather than condemn him for the problems his theory allegedly caused. The Darwinian Revolution is one of the key scientific revolutions in modern times. And it is arguably the final step in the Newtonian Revolution. First, Newton demonstrated that the universe operates according to fixed laws. Then the heliocentrists come along and demonstrate that the Earth is not at the center of the universe. Finally, Darwin comes along and places humanity right where it belongs, squarely within nature, as a part of nature rather than separate from it. Although some might consider this step to be both theologically and scientifically radical, it is, to me, as elegant to think of humanity as being intricately intertwined and tied to the rest of life on Earth as it is to think 0f humanity as somehow “above” and “separate from” nature. The latter approach is flawed at its best, and dangerous at its worst. To forget that we are inherently and directly tied to the rest of the biosphere is to forget that our actions as a species have a direct, and often extreme, impact on that biosphere. We are extremely capable of signing our own death warrants through our collective actions, and to accept that we are tied to the rest of the biosphere is to claim responsibility for our actions as well as for the wellbeing of life on Earth. We are capable of destruction, yes, but we are also capable of preserving the small pockets of non-human life on this planet that we have not altered or destroyed. This is one of the key lessons of the Darwinian Revolution, namely that the fate of the biosphere is inherently and directly responsible for our own fate as a species. Darwinism, frankly, is not the root of all evil. So let’s get over it, and fix the real problems facing this planet. For me at least, crossdressing and atheism pale in comparison to starvation, homelessness, climate change, and the destruction of the biosphere. First we need to fix the big problems facing humanity, and then we can argue about semantics. Happy Darwin Day 2011, and don’t forget to remember Lincoln for a moment as well! 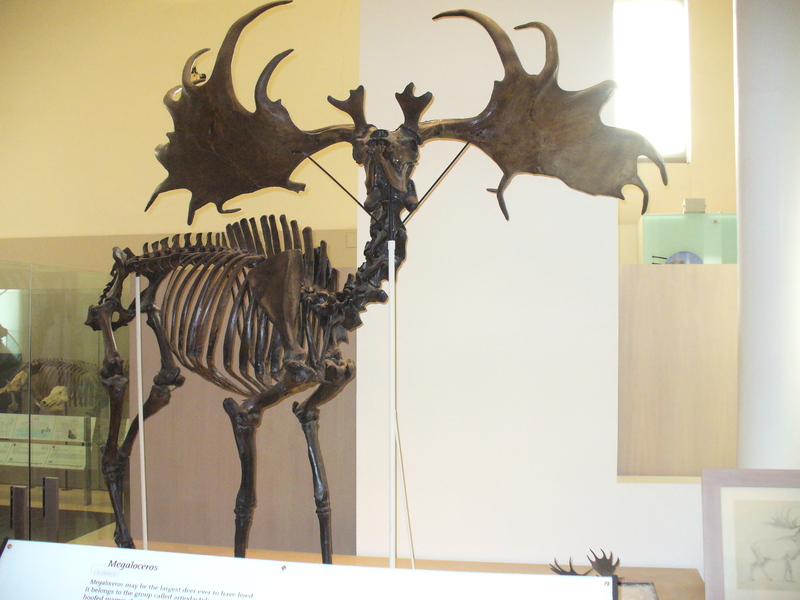 Megaloceros, commonly (and wrongly) known as the “Irish Elk” offers a good example of an organism utilized as proof of orthogenesis during the latter half of the 19th century and the early 20th century. 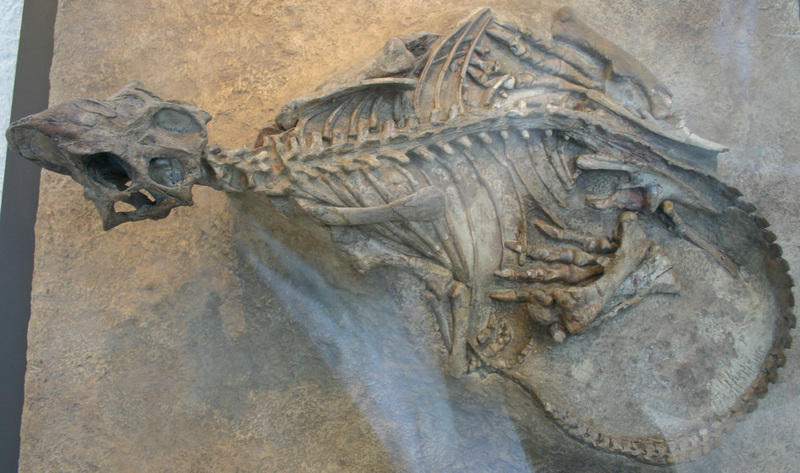 During this period, paleontologists utilized the term “orthogenesis” to explain trends in the fossil record. Under the model of orthogenesis, once a species begins to develop, it continues to develop along that line and exhibits an inability to stop this process of development. In the case of Megaloceros, the argument was structured such that through the process of orthogenesis, Megaloceros’ antlers grew to extreme sizes. Ultimately, this unchecked antler growth caused the extinction of Megaloceros. This example offers a good model to demonstrate why orthogenesis does not work. A trait isn’t going to survive if it causes a problem for the survival of the organism in question. Ultimately, even if selective pressures do support the development of larger antlers in Megaloceros, the antlers won’t get large enough to cause extinction. If an individual Megaloceros has antlers so large that they end up getting caught in trees (part of the orthogenesis argument), then it’s not going to have much success with reproduction. Sure, a few individuals with extremely large antlers might get to reproduce, but as a rule, most of these will, in fact, be weaned from the gene pool. This is why orthogenesis does not work. If you’re interested in this topic, check out Stephen Jay Gould’s article “The misnamed, mistreated, and misunderstood Irish Elk.” The article is available in his 1977 book Ever Since Darwin. Scannella, J., & Horner, J. (2010). Torosaurus Marsh, 1891, is Triceratops Marsh, 1889 (Ceratopsidae: Chasmosaurinae): synonymy through ontogeny, Journal of Vertebrate Paleontology, 30 (4), 1157-1168. Publications such as this one highlight the difficulty with which paleontologists define species. It’s generally impossible to go back and look at skin (with a few key exceptions, such as the hadrosaur “mummy” at the AMNH), behavior, or other non-skeletal traits. Thus, paleontologists are stuck trying to define species and genera from bones alone, more often than not. However, this article highlights the self-correcting nature of science. While any historian of science can highlight numerous social influences on science, when at its best, science in fact can be a self-correcting enterprise. 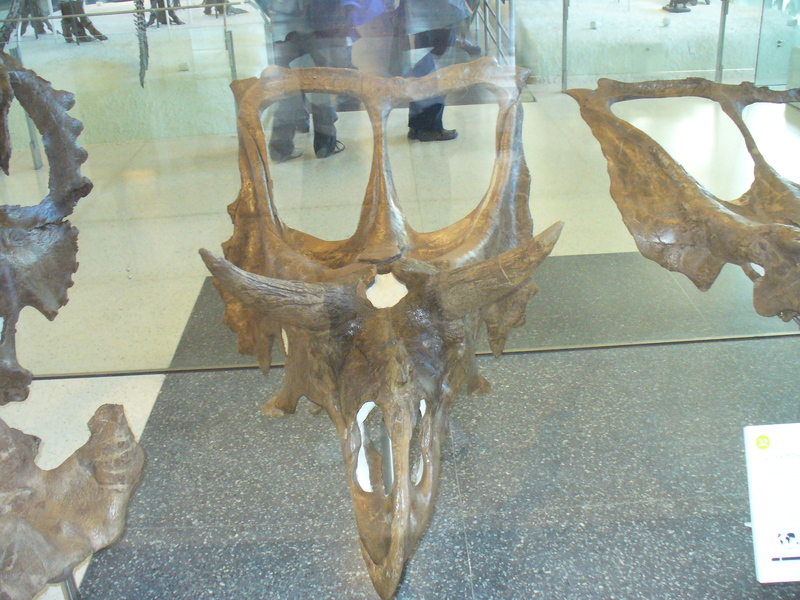 OC Marsh described Torosaurus and Triceratops as two separate genera. Scannella and Horner come along a century later, with more specimens to compare, and correct Marsh’s mis-classification. This is self-correcting science at its best. Nearly everybody familiar with evolutionary theory and anti-evolution movements is familiar with the old refrain claiming that “the fossil record does not support evolution.” However, such claims are extremely misguided, and stem from a major misunderstanding of what the fossil record does, in fact, show. 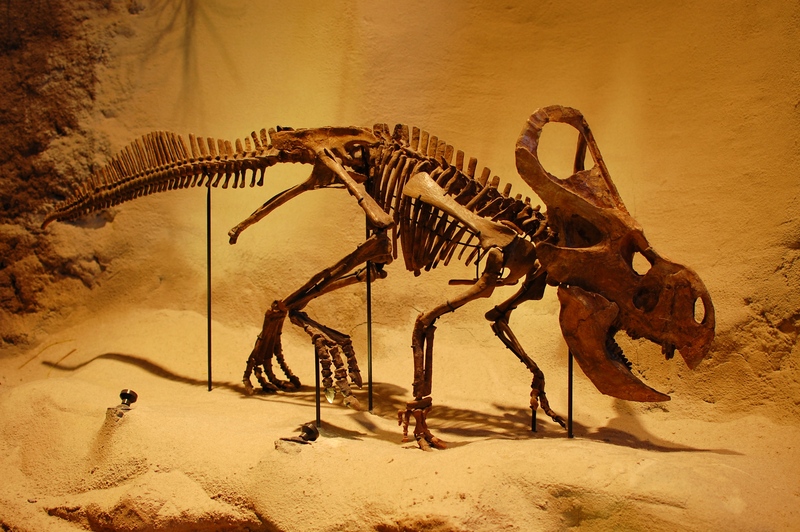 While one could pick any one of hundreds of fossil lineages to examine, we’ll look at one that most people are familiar with, the ceratopsian dinosaurs. To get a partial idea of the diversity of this group, I’ll post some pictures before continuing. 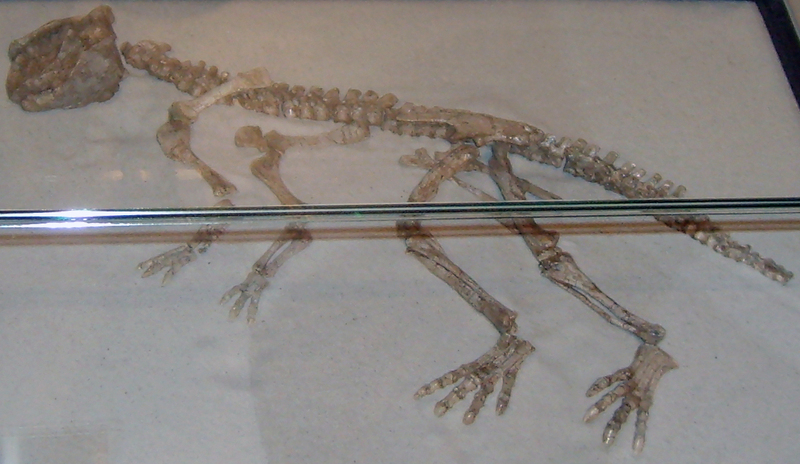 another psittacosaurus picture, this time on display in Copenhagen. Also from wikipedia. With these specimens, you can get a pretty good idea of how body plans shifted during the phylogenetic history of the Ceratopsians. However, don’t get the wrong idea here; it isn’t necessarily so that Psittacosaurus evolved into Protoceratops evolved into Triceratops. This isn’t how the fossil record works. 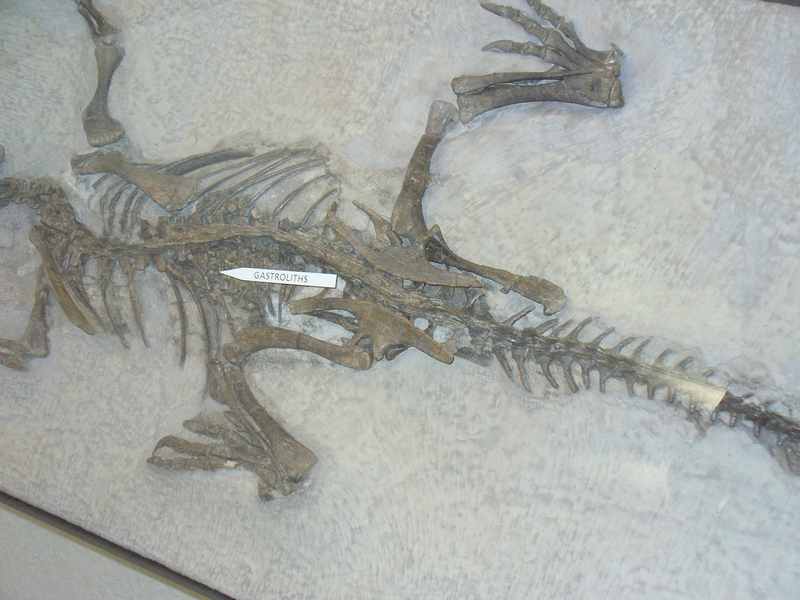 Rather, an organism like Psittacosaurus evolved into an organism like Protoceratops, and so on. These specific examples show us a basic picture of the transition that occurred. They aren’t the full story. We’re looking at over a hundred million years between us and them. We don’t have the full picture. Look at today’s biodiversity, and compare it to what’s available in the fossil record. The fossil record itself is like trying to understand a person’s life by looking at a photo album, most of the pictures missing, with a picture of an individual, we’ll call him Bob, as a toddler, then as a highschooler going to the prom, then maybe as a middle-aged man with another younger man (perhaps his son? ), then a funeral announcement. We can get a basic idea of how his life unfolded, but there are many, many things that we can’t answer about his life. This is the way the fossil record works. In order to understand how evolution operates over time, one has to look at the basic patterns visible in the fossil record. Sure, you can’t get a complete, full, exact picture of every species-to-species transition, but you can get a pretty good idea of what actually did happen in an evolutionary sense. 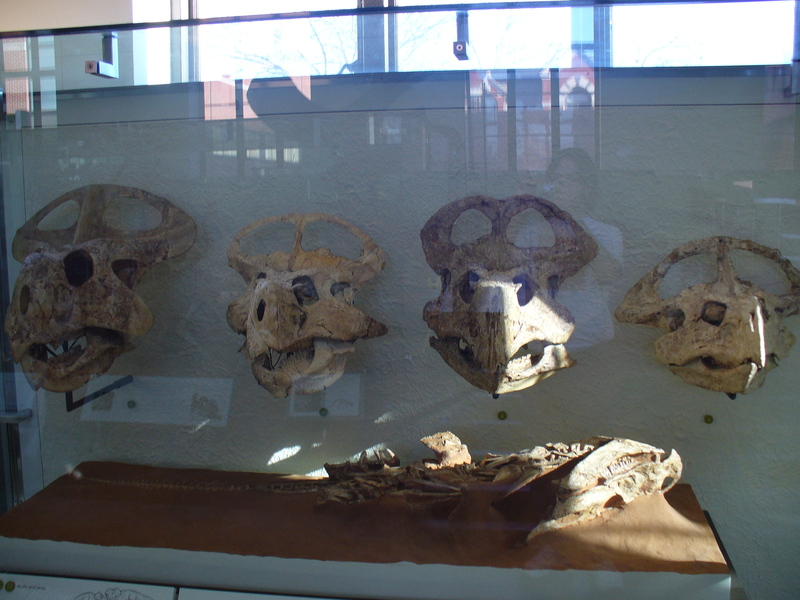 With these three sacrums, you can see how evolution has shaped one specific body part over time. However, after looking previously at the full bodies of these dinosaurs, its much easier to view this for what it is, natural selection tinkering away at one body part as it shapes the whole body. Regardless, this series of sacrums at least helps to illustrate the relationship between these organisms. But keep in mind, once again, that it is the entire body that evolves, not just one part. 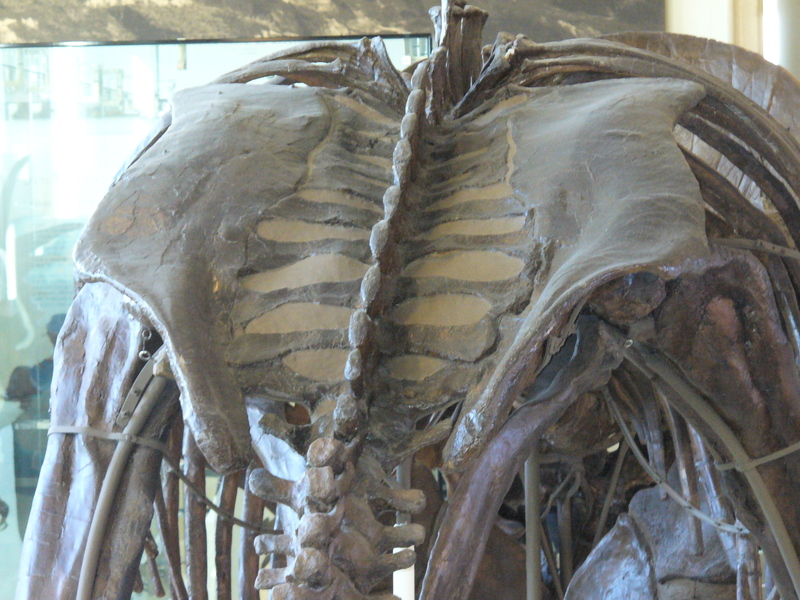 What paleontologists look for in the fossil record is not “transitional forms”, but “transitional features”, such as our sacrum example, when trying to define evolutionary lineages (phylogenies). This happens precisely because superficial traits (size, weight, etc) are relatively fluid. In order to fully understand an evolutionary lineage, it is necessary to look at specific traits which are carried throughout a sequence. While our sacrum example is not a perfect one, we can at least roughly view how one might find such a trait. Yes, you can see it change through the lineage, but it is also possible to build a relatively complete picture of how the sacrum has changed throughout its evolution. 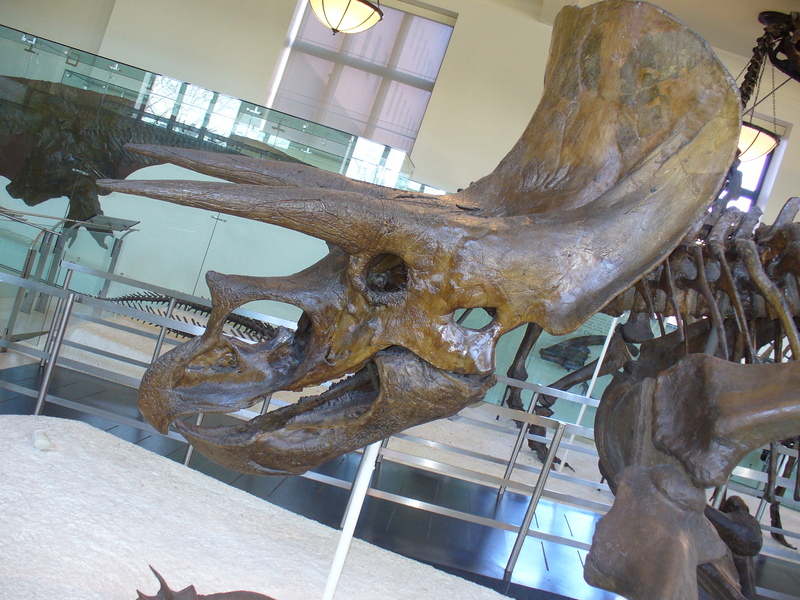 Therefore, it could be used to help understand phylogenetic relationships between ceratopsians. Thus, while natural selection does operate on entire bodies, specific traits are also extremely important in defining exact evolutionary sequences. Both angles are necessary in order to fully define an evolutionary sequence. Anyway, let me shut up before I make this post any longer/more painful to read. So what exactly does our quick look at ceratopsians do? Besides being a (relatively dull) way to kill a few minutes, it also provides an often overlooked example of an evolutionary lineage. So read up on your ceratopsian evolution (I’ve tried to stay away from the boring, terminological stuff for the sake of a quick introductory glance; Donald Prothero’s Evolution: What the Fossils Say and Why it Matters has a really good discussion of ceratopsian evolution, and would make an extremely good starting point for looking at evolution in the fossil record in general), and be ready next time someone tries to explain away the basic examples of paleontological evidence for evolution like Tiktaalik, Ambulocetus, or Archaeopteryx. 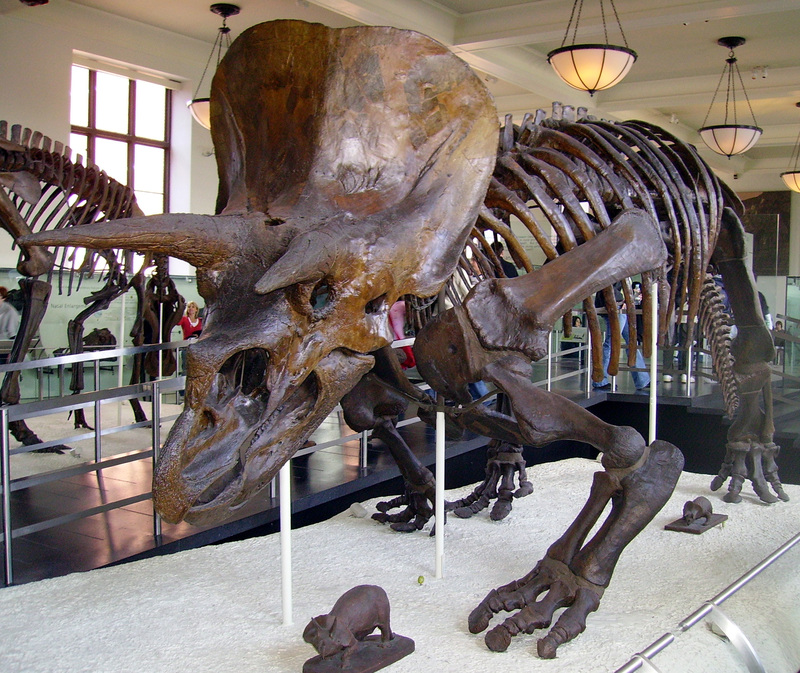 Provide an example of a full lineage such as the ceratopsians, rather than one “transitional form” in a vacuum. It’ll provide a much stronger proof if you’re ever trying to explain evolution to someone with an open mind that doesn’t know much about the subject. Victorian satire is a wonderful thing. Anybody else familiar with Edward Abbott Abbott’s satire Flatland: A Romance of Many Dimensions? It’s an awesome book, well worth reading if you can spare a couple of hours. You can find it here, through google books, if you’re interested in reading it. Would Thomas Jefferson Support Intelligent Design? Encyclopedia of Life. Developed by EO Wilson, contains a webpage for every known organism.